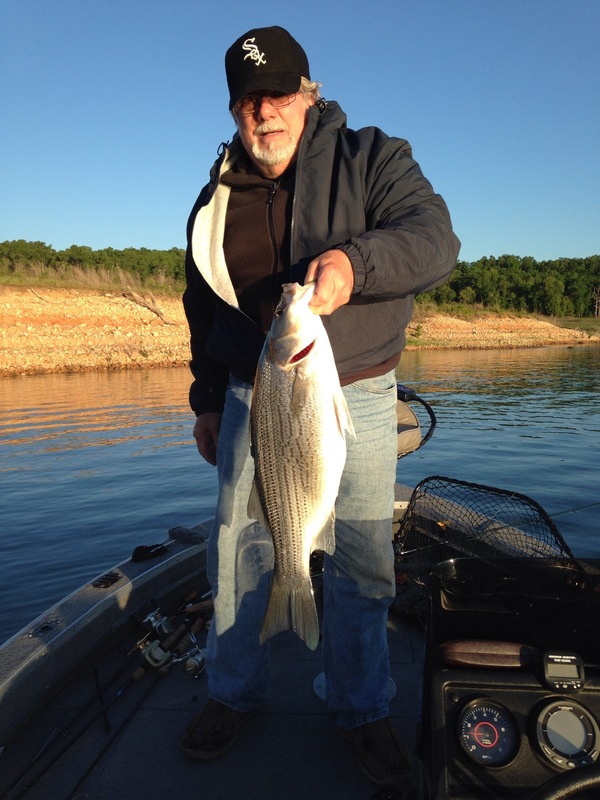 ﻿﻿﻿﻿Fishing on Norfork Lake has been great over the last week. Fishing has stayed fairly consistent, but the fish are starting to move around a little. They have stayed in the same general area, but one day they are on the west side of the lake then the next they may be on the east side. 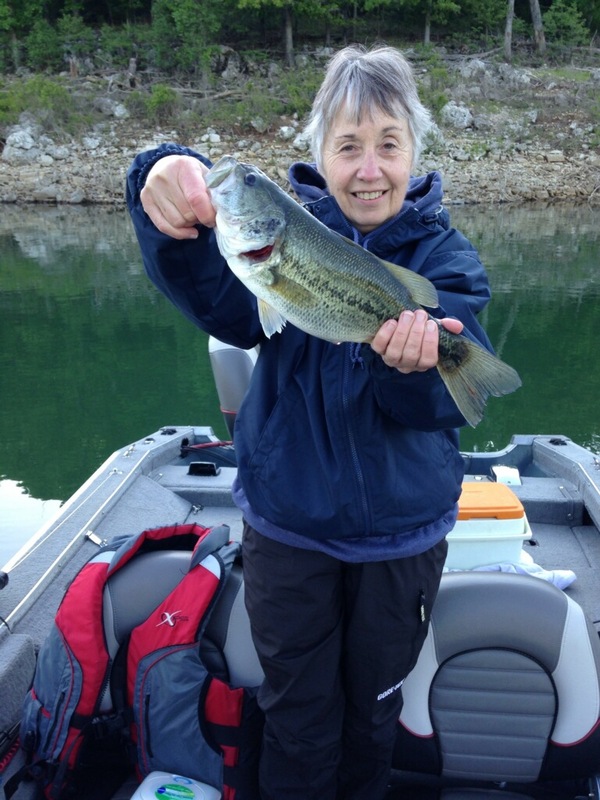 It will take a little time scanning areas with your fish finder, but when you start to see some bait, stop and fish. All fish species seem to be relating to points, whether a shallow long point or a deep bluff line point. 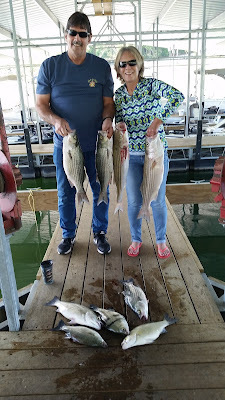 Striped bass fishing has been outstanding this past week. 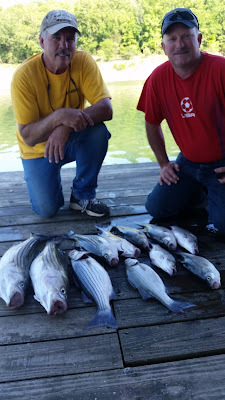 I believe every one of my guests caught hybrids/stripers during their vacation. The stripers moved from the deep bluff line side of the lake to the shallow sloping bank side of the lake during the week. 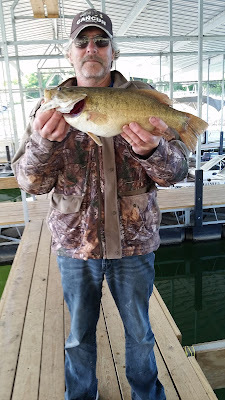 I have been fishing in a main lake area that has plenty of points, coves and bluff lines. There has been good top water action in early mornings and a Zara spook is working well. Other artificial baits that are catching fish are a silver Kastmaster with bucktail, rattle traps, rooster tails, and swimbaits. Live thread fin shad has also been an outstanding bait and it really has not mattered what size the live bait is, as I have caught stripers on 3 inch baits up to 6 inch baits. 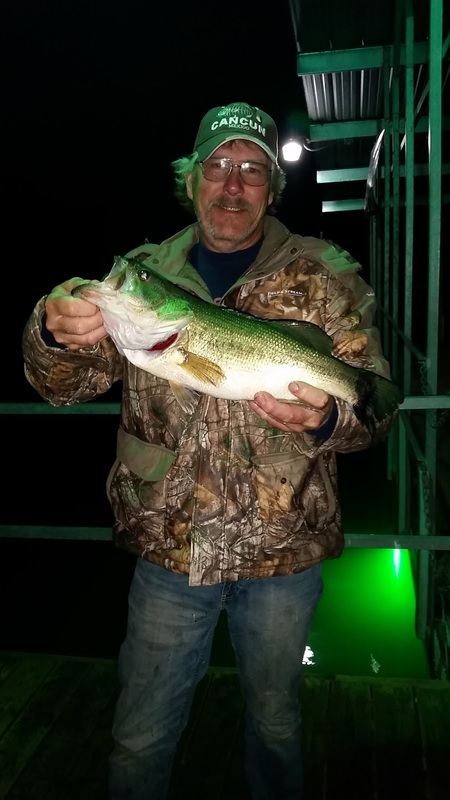 Look for stripers in very shallow water starting just before sunrise. Anglers are finding them in 5 - 40 feet of water and the fish are near the surface. As the sun comes up look for stripers in the same type areas, but go out to deeper water and look for the fish to be suspended 20 to 30 feet down. 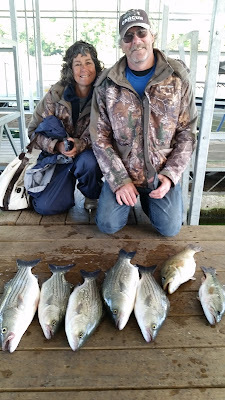 White bass fishing is also becoming very good. There has been great top water for whites early in the morning and late in the afternoon. 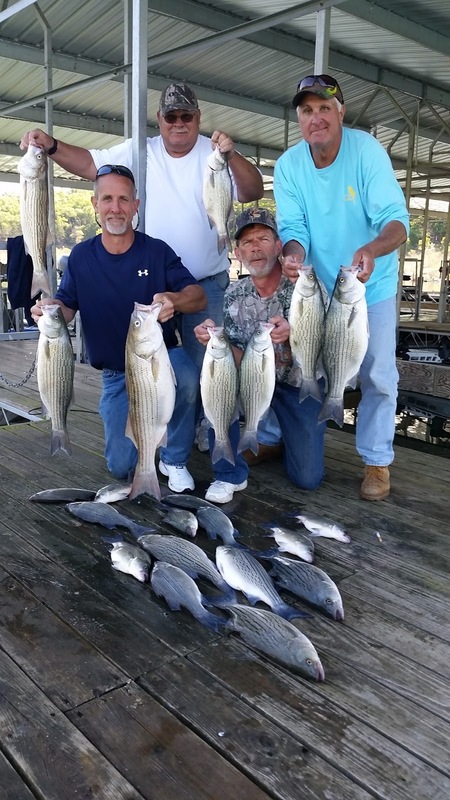 I have found the whites in the same locations as the stripers, but also on occasion in very deep water chasing shad on the surface. Same type baits for stripers are working for whites. Largemouth, smallmouth and spotted bass fishing is also very good. They are chasing shad in the same areas as the stripers and can be caught on similar type of baits. As the sun comes up start using some sort of plastic bait worked slowly along the bottom. The bass will be a little deeper but not typically deeper than 20 - 30 feet down. 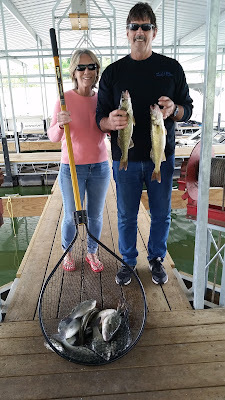 Pan fishing has also been good. 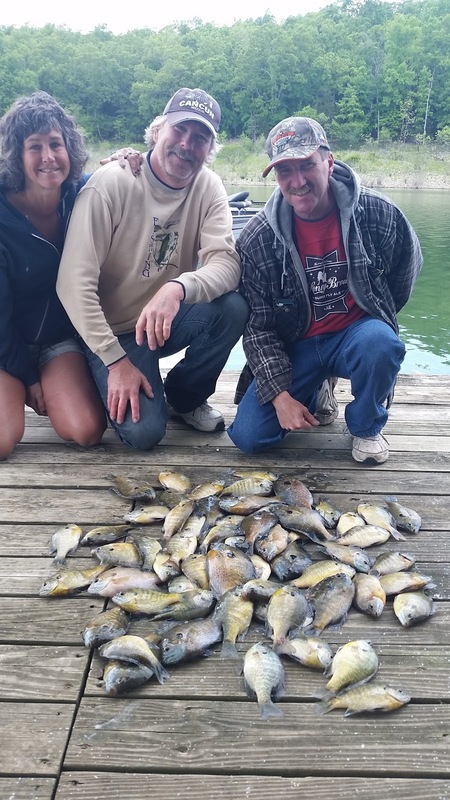 Look for bluegills along bluff line cuts in 20 - 30 feet of water. Wax worms and earth worms are working great. 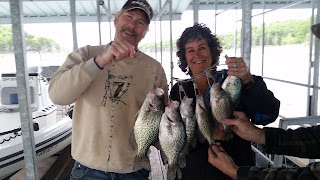 Crappie have moved onto the brush. Look for brush in 20 - 30 feet of water and the fish are hanging around the tops. 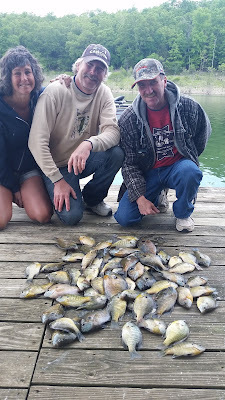 Use small grubs tipped with minnows or just minnows. Norfork Lake level is falling slowly with constant generation. Current level is 553.29. The surface water temperature was 68 - 70 degrees this morning. The creeks and coves are stained and the main lake is clearing.